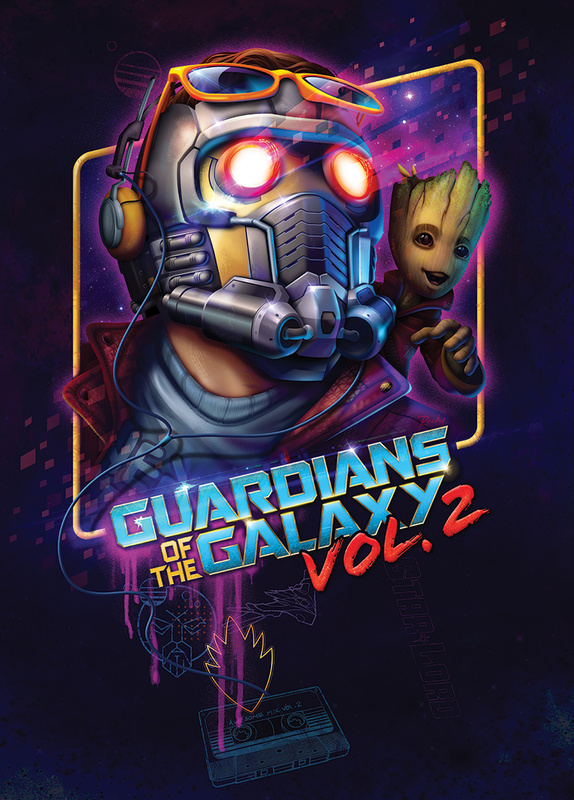 Guardians of the Galaxy is one of my favorite movies ever, so I was excited out of my mind when Loot Crate contacted me and asked me to do an official Marvel product for the Vol. 2 release. 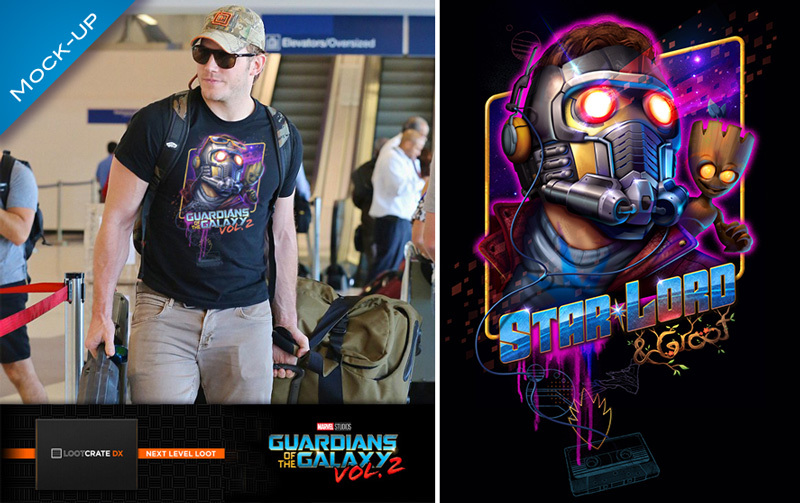 I designed this portrait of the great outlaw and his plucky teammate for an exclusive t-shirt. We went through a variety of different variants on it before we got final approval, but this layout was my favorite! 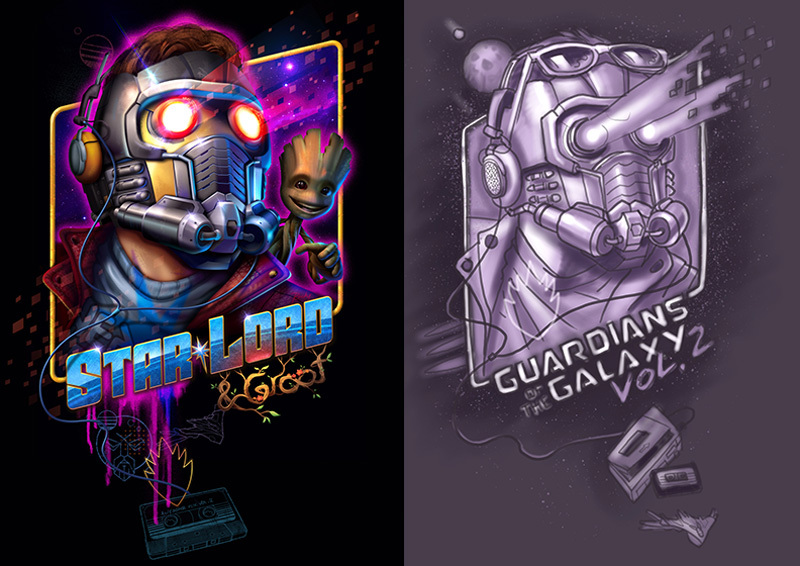 I hope to do a lot more work with Loot Crate and Marvel in the future!